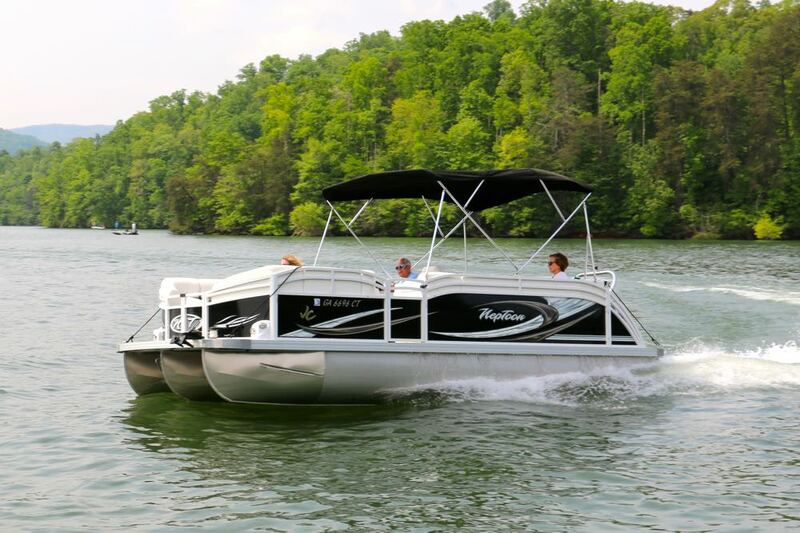 Our brand new 2019 22′ JC Sport Pontoon Rentals feature a Suzuki 150hp fuel-efficient 4-stroke engine, JC’s high-performance TriToon Sport hull for improved speed and handling, and power-assist hydraulic steering for easy driving and control. 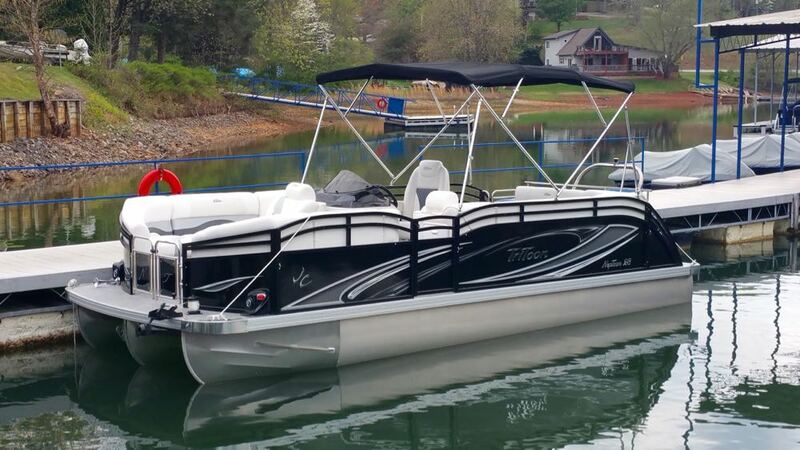 It’s great for a day of cruising or pulling a tube. 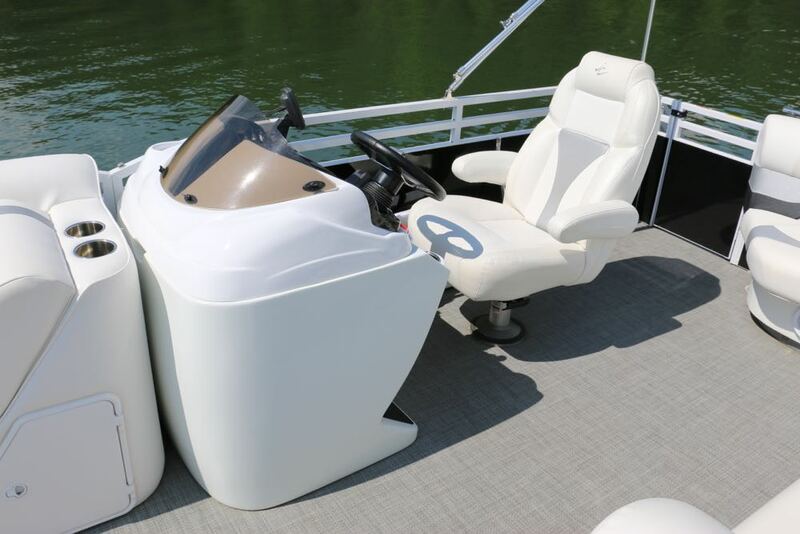 Features include a Clarion CD Stereo with Bluetooth, USB, and aux. 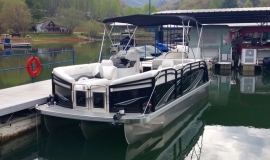 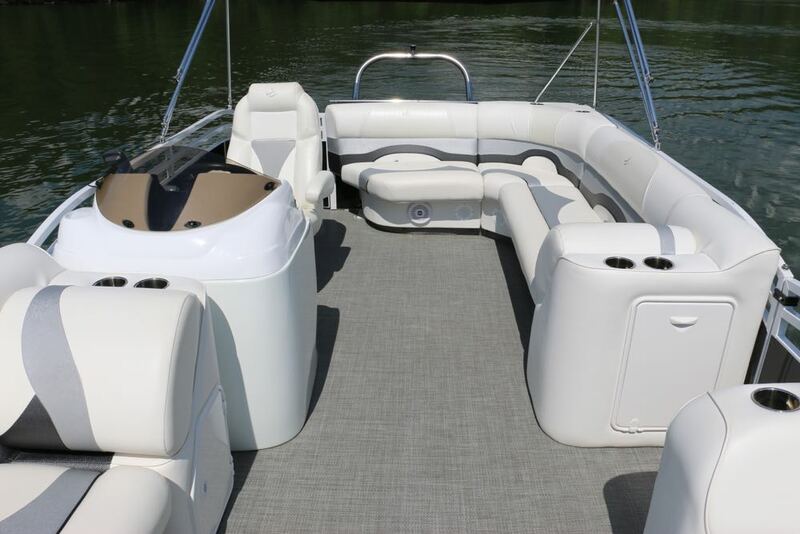 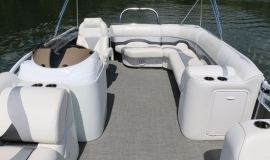 hookup, Sunbrella bimini for shade, Garmin Color Fish & Depth Finder, Heavy Duty tow bar for tubing, anchor winch, reclining Captain’s Chair, premium Seagrass flooring, and seating for 10 passengers. 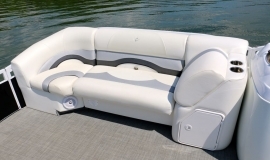 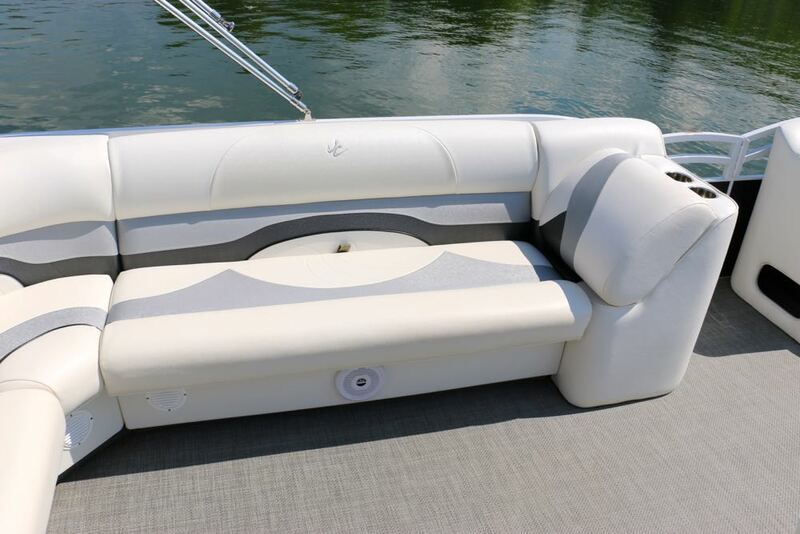 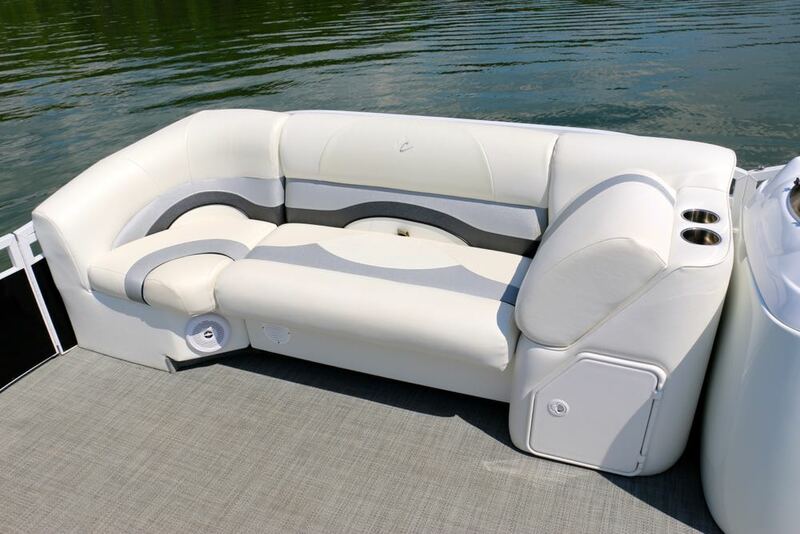 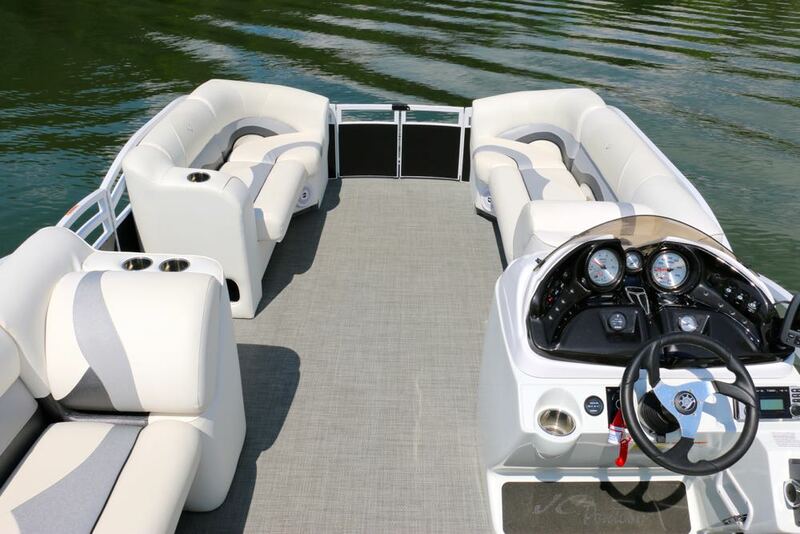 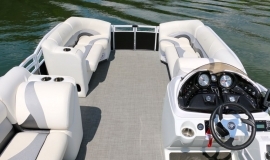 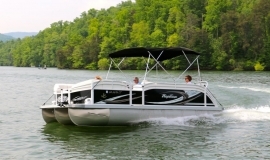 We offer our extreme double tube for rent with these sport pontoon boats. 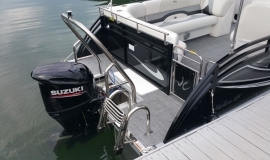 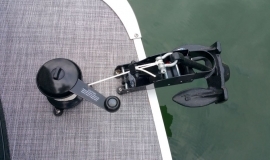 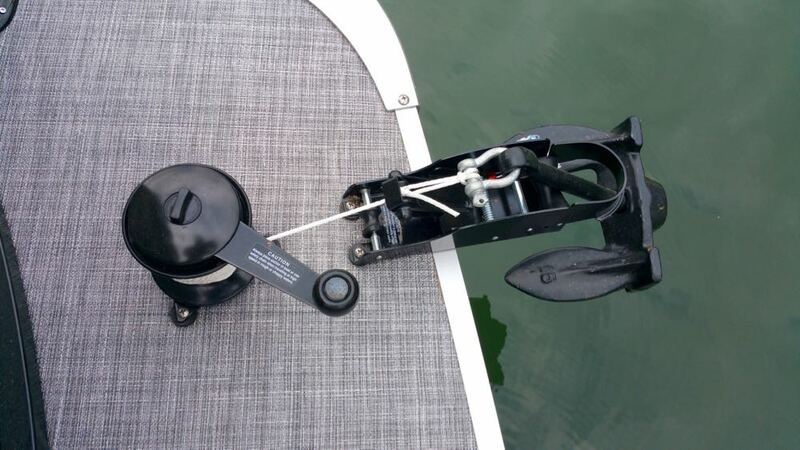 Other towing (skis, wakeboard, etc.) 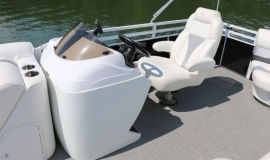 are not allowed with this boat. 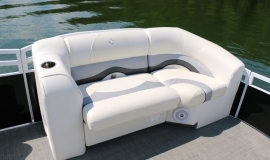 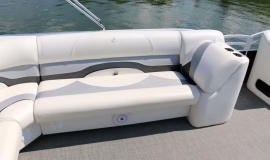 Get your Double Tube rental for FREE when you rent this boat for 3 or more days!